After surviving a catastrophic truck accident, many victims may find themselves seriously injured, unable to work, and worried about paying costly medical bills. While a personal injury claim or lawsuit allows truck accident victims to pursue compensation for their injuries and other damages, receiving a financial award is not always easy. Data recorders and in-cab camera. Images from in-cab cameras and information from the truck's event data recorder, or “black box,” can provide a much clearer picture of what was happening both inside the cab and inside the vehicle's mechanical systems when the accident occurred. Logbooks and inspection records. The Federal Motor Carrier Safety Administration (FMCSA) requires commercial drivers to keep detailed logs of their work shifts and rest periods to ensure compliance with hours-of-service regulations. Truck drivers must also inspect their vehicle before and after each shift and save their inspection records. Eyewitness and expert testimony. Testimony from those who witnessed the accident can potentially lend credibility to your version of events, while expert witnesses can testify to the cause of the truck accident and the extent of your injuries. Medical records. Carefully documented medical records can help judges and juries better understand the diagnosis and prognosis of the injuries you sustained in the truck accident. Photographic evidence. Photographic evidence such as photos of the accident scene, physical injuries, and damage to involved vehicles can be invaluable in personal injury cases. 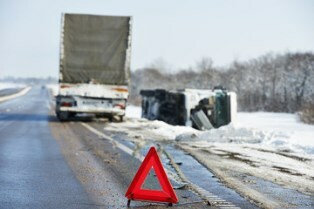 Do You Need Help Pursuing a Truck Wreck Lawsuit? Gathering the evidence needed to prove a truck wreck case can be time consuming. Let the experienced legal team with Holton Law Firm help you collect the evidence you need. Contact Holton Law today to schedule a free initial analysis of your truck accident case.